muffins | eating with S.O.L.E. These luscious little parcels of warm fall flavors were my simple solution to the cool breezy new season blues today. 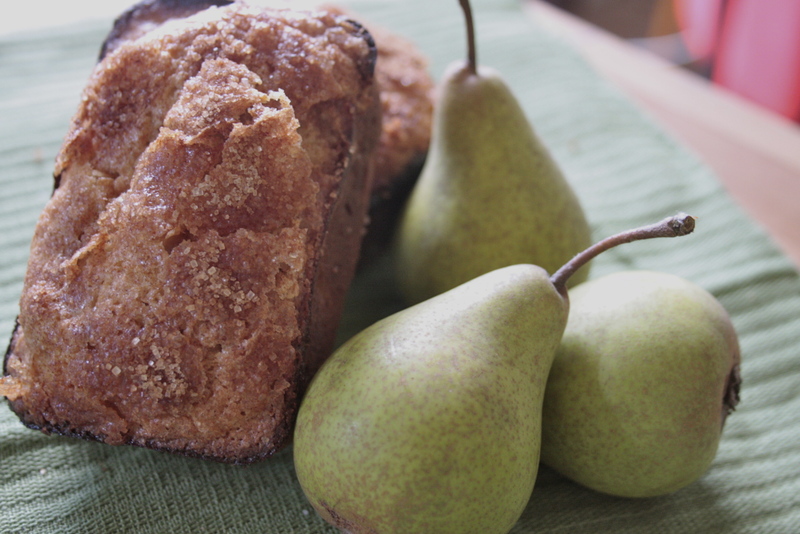 I needed a mid day warm up and the over-ripening scent of pears in the air were beckoning for a cozy baked home. Like all muffins, these come together quickly and after a ginger cinnamon sugar sprinkle the top crisped up with a doughnut like lace finish. Yum. Made with spelt flour and two kinds of ginger, just enough coconut and a hint of cardamom, these are perfect for a blustery day in the garden. Bake at 375 for about 25 minutes, or until a toothpick comes out clean. Oh enjoy at least one warm or at least with a warm cuppa.